A demonstrator wore a “Black Lives Matter” button during a protest against last month’s fatal police shooting of Paul O&apos;Neal in Chicago. It is a real tragedy that Black Lives Matter — which has done so much good in raising awareness of police abuses — has now moved away from its central mission and has declared war against the nation state of the Jewish people. 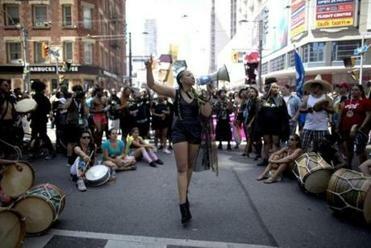 In a recently issued “platform,” more than 60 groups that form the core of the Black Lives Matter movement went out of their way to single out one foreign nation to accuse of genocide and apartheid. No, it wasn’t the Syrian government, which has killed tens of thousands of innocent people with barrel bombs, chemicals, and gas. Nor was it Saudi Arabia, which openly practices gender and religious apartheid. It wasn’t Iran, which hangs gays and murders dissidents. It wasn’t China, which has occupied Tibet for more than half a century. And it wasn’t Turkey, which has imprisoned journalists, judges, and academics. Finally, it wasn’t any of the many countries, such as Venezuela or Mexico, where police abuses against innocent people run rampant and largely unchecked. Nor was it the Hamas-controlled Gaza Strip, where the police are a law unto themselves who act as judge, jury and executioner of those whose politics or religious practices they disapprove. To be sure, Black Lives Matter is not a monolithic organization. It is a movement comprising numerous groups. Many of its supporters have no idea what the platform says. They cannot be faulted for supporting the movement or its basic mission. But the platform is the closest thing to a formal declaration of principles by Black Lives Matter. The genocide paragraph may well have been injected by radicals who are not representative of the mainstream. But now that it has officially been published, all decent supporters of Black Lives Matter — and there are many — must demand its removal. To an outsider, it is astounding that the United States, in the 21st century, is still wrestling with the horrifying legacy of slavery. In defending its citizens against terrorism since before its establishment as a state in 1948, Israel has killed fewer Palestinians than did Jordan and Syria in two much shorter wars. The relatively low number of civilian deaths caused by Israeli self-defense measures over the past 68 years compares favorably to the number of civilian deaths in other conflicts. This is because, as Colonel Richard Kemp, former commander of British Forces in Afghanistan, put it: There has been “no time in the history of warfare when an Army has made more efforts to reduce civilian casualties...than [the Israel Defense Forces].” Though Kemp was specifically referring to the wars in the Gaza Strip — which are also the apparent focus of the Black Lives Matter Platform — his conclusion is applicable to all wars Israel has fought. Genocide means the deliberate extermination of a race, such as done by Nazi Germany to Jews and Sinti and Roma or by the Hutu against the Tutsi in Rwanda. It has no application to deaths caused by self-defense measures taken to protect citizens against terrorism. To falsely accuse Israel of “genocide” — the worst crime of all, and the crime whose very name was coined to describe the systematic murder of 6 million Jews — is anti-Semitic. Until and unless Black Lives Matter removes this blood libel from its platform and renounces it, no decent person — black, white, or of any other racial or ethnic background — should have anything to do with it. We should continue to fight against police abuses by supporting other organizations or forming new ones. But we must not become complicit in the promotion of anti-Semitism just because we agree with the rest of the Black Lives Matter program. To support an organization or movement that promotes anti-Semitism because it also supports good causes is the beginning of the road to accepting racism. Many racist groups have also promoted causes that deserve support. The Black Panthers had breakfast programs for inner-city children, while advocating violence against whites. And the Ku Klux Klan organized summer camps for working-class families, while advocating violence against blacks. 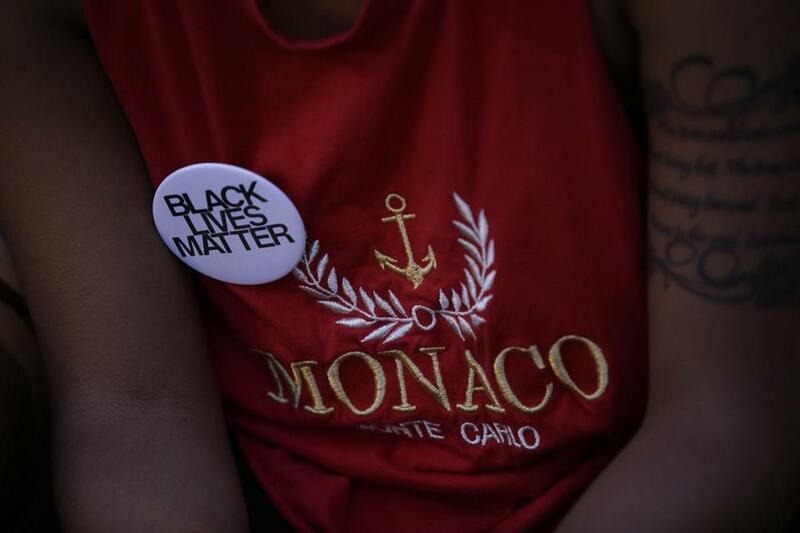 To give Black Lives Matter a pass on its anti-Jewish bigotry would be to engage in racism. Black anti-Semitism is as inexcusable as white anti-Semitism or white racism. There can be no double standard when it comes to bigotry. I write this column both in sorrow and in anger. In sorrow because I support the goals of the Black Lives Matter movement — I have long been involved in efforts to expose and prevent police abuses — and worry that this obnoxious and divisionary platform plank may destroy its credibility with regard to police abuse in America by promoting deliberate lies about Israel. It is also alienating Jewish and other supporters who could help them achieve their goals here at home — as many such individuals have historically done in actively supporting all aspects of the civil rights movement. It would be sad if the good work done by Black Lives Matter were now to be sidetracked by the mendacious and irrelevant accusation of “genocide” and “apartheid” against one foreign democracy — Israel.